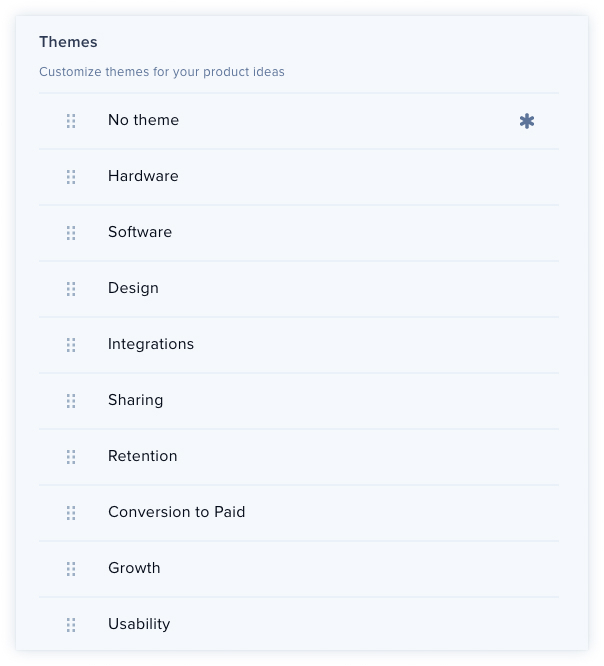 You can categorize your Ideas by Roadmap, Status and Theme. 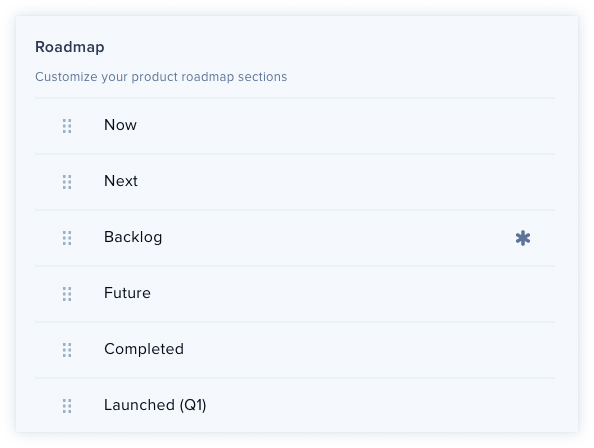 When you start your Project, you'll find that the Roadmap and Status sections are already filled out with suggested titles, but you're free to change them as you wish. To add or edit your sections, navigate to Team Settings, then Product Ideas or Business Ideas. Here, you'll be able to add, edit or delete sections. You can also edit Canvas sections in Kanban View or List View. You can also easily add, edit or remove sections in Kanban View or List View. Just click on the section to rename it, or the three dots to the right of the name to delete it. If you would like to add a new Section, click the Add Section button. 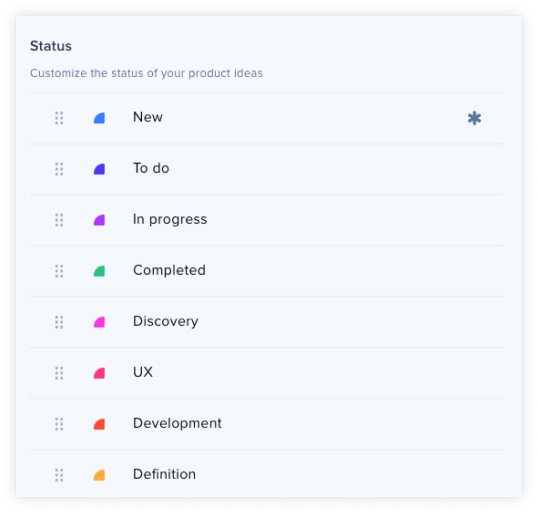 To find out more about organizing your Ideas on the Product Canvas, click here.